The Hospitaller Order of Saint John of Jerusalem, of Rhodes, and of Malta, also known as the Knights of Malta is a Roman Catholic religious order. It was founded by the Knights Hospitaller in Jerusalem by the Blessed Gerard. It is the world’s oldest surviving order known for its military and chivalrous character. The origins date back to around 1048 when a hospital was founded by merchants from the Duchy of Amalfi to provide shelter and care to pilgrims to the Holy Land. The hospice was set up alongside the monastery of Saint John the Baptist and was served by Benedictine brothers. In 1113 the foundation of the order was formally approved by Pope Paschal II with the Bull that placed it under the protection of the Holy See. The Order was given the right to elect its superiors without any interference by other secular or religious authorities. The members of the Order thus called knights were bound with three monastic vows of poverty, chastity and obedience. During the crusades they were obliged to protect the pilgrims that added the military role to the Hospitaller mission. After the loss of the Crusader control of the city of Acre in 1291, the Order moved to Cyprus. 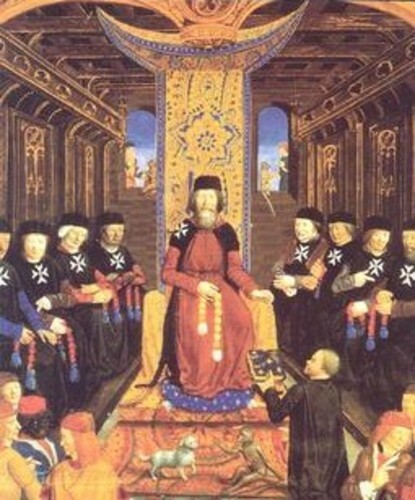 By 1310 Grand Master Fulkes de Villaret moved the Order to the island of Rhodes. With the responsibility to defend the Christian world the Order was swiftly organised into a strong and powerful naval fleet. It patrolled the eastern Mediterranean and battled against any threat from Barbary pirates and Ottoman forces. The knights of the Order were organised according to the regions they came from known as ‘Langues’. The seven initial Langues were Provence, France, Auvergne, Italy, Aragon including Navarre, England including Scotland and Ireland and Germany. In 1492 when the kingdom of Castille, Leon and Portugal was formed, a separate langue was set up which constituted the eighth Langue. Each Langue had its own Priories, Bailiwicks and Commandries. The Order was governed by its Grand Master and the Council and minted its own money. By now it had adopted the eight-pointed cross which is still the symbol by which it is recognised. It is said to represent the eight langues and the eight beatitudes of the Sermon on the Mount. In 1522, Rhodes was attacked by the Ottoman Armada of Suleiman the Magnificent and after battling for several months Rhodes laid down its arms and the Grand Master, Philippe Villiers de L’Isle-Adam and the serving knights left Rhodes. The Order spent seven years moving from place to place throughout Europe until, in 1530, the Holy Roman Emperor, King Charles V of Spain gave the Order the island of Malta for a falcon as an annual fee. The Knights were noblemen from the most important families of Europe, and their mission was to protect the Catholic faith. The knights settled in the town of Birgu, they strengthened the town’s defenses and constructed new buildings to serve as their administration offices and also reconstructed the ancient fortress Castrum Maris and named it Fort Saint Angelo. From their new naval base the Knights soon proved to be a challenge to the Ottomans once again. It was not long before Suleiman planned to invade the island and destroy the knights’ fleet. 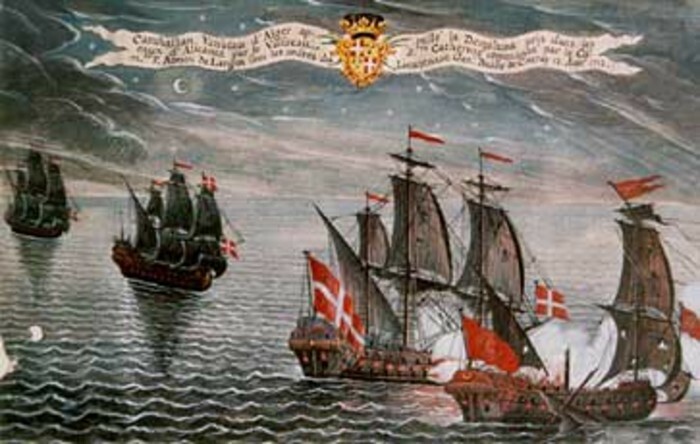 In 1565, the Ottoman Armada attacked Malta, a war that lasted three months. Under the leadership of Grand Master Jean Parisot de Valette victory was secured. This famous battle is known as The Great Siege. After the Great Siege, the Knights were determined to turn Malta into a fortress that befitted a military Order with a capital city worthy of the now illustrious Order. The foundation stone was laid by de Valette, the city which would bear his name. Subsequent Grand Masters invested in the city and the fleet became one of the most powerful in the Mediterranean region. The Order contributed to the victory over the Ottomans in the battle of Lepanto in 1571 which was a resound victory for Christendom. The Order continued to have a strong presence in Europe through the Knights’ connections with European monarchs and the Holy See. After two hundred years, the Order surrendered the Maltese Islands in 1798 to the French troops under Napoleon and subsequently the knights were expelled from the island. After residing in various Italian cities the Order settled in Rome and is today known as the Sovereign Military Order of Malta. The eight-pointed cross, later known as the Maltese cross was worn on the black monastic habit of the Hospitaller Brothers as a symbol of Jesus’ crucifixion. In Malta the cross took the form seen today. The four arms of the cross are said to represent the four cardinal virtues: prudence, justice, temperance and fortitude whilst the 8 points represent the Beatitudes, the qualities given by Jesus in his Sermon on the Mount and recorded in the Gospel of Matthew.